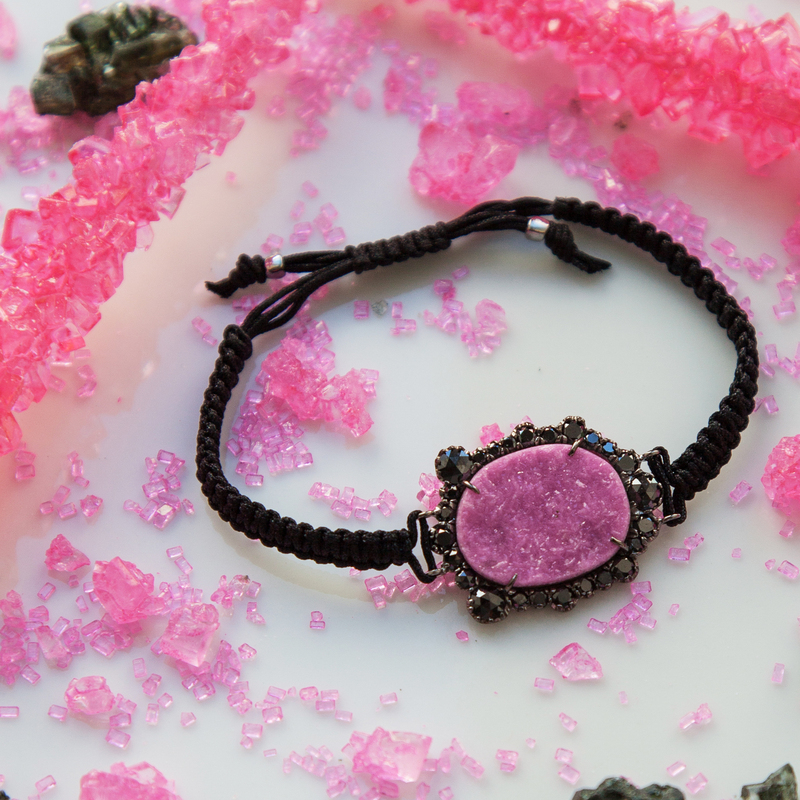 This one of a kind colbato calcite macramé bracelet with signature irregular diamonds set in 18-karat white gold with black rhodium by Kimberly McDonald is not only a favorite because of its beautiful color and contrasting stones, but also because of what it symbolizes. Cobalto calcite is said to represent unconditional love and forgiveness, and to be effective for emotional healing, grief, and a broken heart. While on an appointment at Kimberly’s studio, a piece bearing cobalto calcite “found” us in a very serendipitous and personal way. It was then that we decided to collaborate with Kimberly, with whom we share a love of the natural beauty of stones and their power. Empower yourself by wearing this treat—a symbol of healing and love.